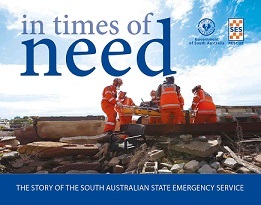 The State Emergency Management Plan (SEMP) is a four-part plan containing a range of documents that further detail strategies for dealing with emergencies in South Australia. The parts are described in more detail in this report. Keep up to date with news and developments in emergency management. We have a long and proud history of helping South Australians. In times of need was published in 2015 to record much of that history. Download a copy of the book [6Mb].